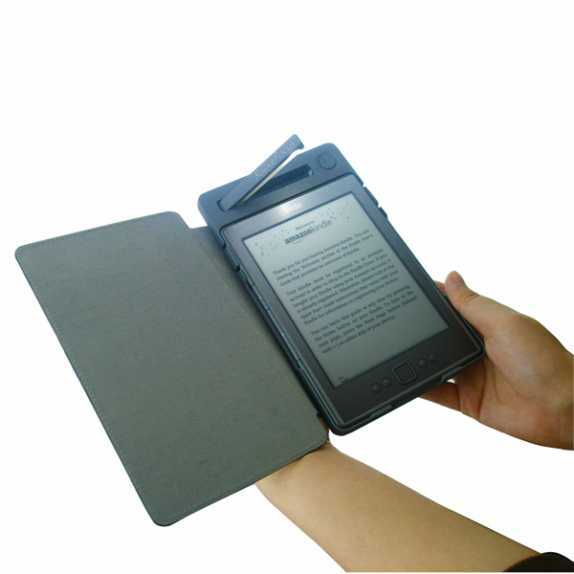 The first solar-powered cover for the Kindle electronic reading device has been launched. The SolarKindle Lighted Cover, manufactured by US firm SolarFocus, is available online now and is expected to be available in shops soon. The lightweight Amazon Kindle cover takes advantage of Uni-Solar's technology to charge the Kindle's battery and the leather cover's reserve battery that powers an LED reading light. Chris Bala, Vice President of Sales-Open Solar, says, "The SolarKindle Lighted Cover is a great example of the success of United Solar's Open Solar initiative, which allows our strategic partner, SolarFocus, to leverage the differentiation of our unique high-performance, lightweight and flexible solar cells. "This innovative product represents just how easily UNI-SOLAR technology can be integrated seamlessly and cost effectively into everyday applications." The solar cells are located on the front of the cover and harnesses direct sunlight to provide free power. The solar-powered Kindle cover was unveiled at the International Consumer Electronics Show at Las Vegas in January. Show judges selected it as one of the 2012 Innovations Honourees among Eco-Design and Sustainability Technologies products. The three-day Consumer Electronics Show, organised by the Consumer Electronics Association, features new consumer products and emerging technologies. The SolarKindle Lighted Cover is being sold online at the SolarFocus' webstore, solarmio.com, and on Amazon. It will also be available in selected stores. United Solar, which is the world's largest manufacturer of light, flexible solar panels, is a wholly owned subsidiary of Energy Conversion Devices, Inc.
Its durable, thin-film solar panels covert sun into renewable energy through proprietary technology. The company also designs, makes and installs solar rooftop panels. SolarFocus Technology Company researches and develops solar-powered products for consumers and industry. Its products are used in the North Pole and the Himalayas.